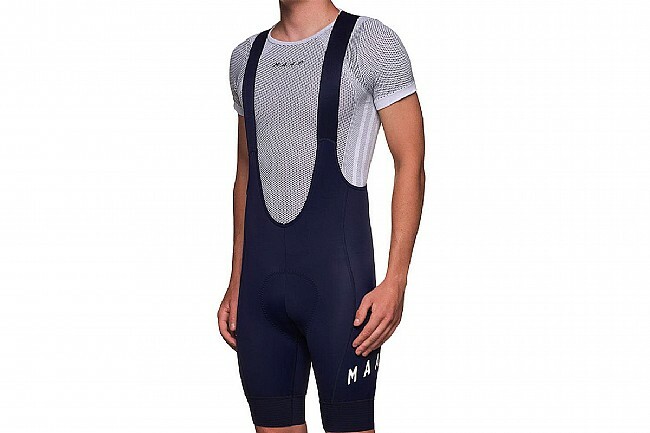 The newly introduced Team Bib Short 3.0 builds upon the foundation set by their most loved style. 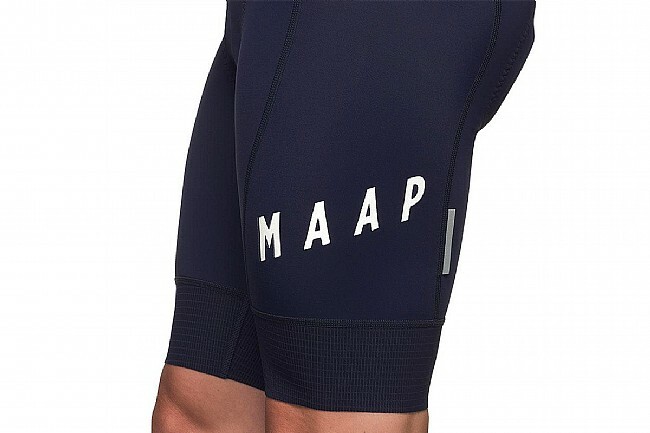 With updated bib brace materials and construction, MAAP has further refined their signature fit for a closer to body fit and improved temperature regulation. All new lightweight, seamless bib straps bring a true-to-form fit across a variety of performance positions so you can focus on what matters most. 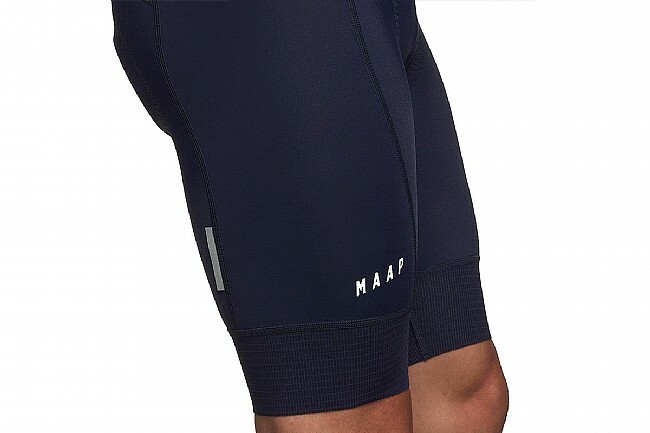 The dual layer bonded textile and laser cut edge delivers a secure fit and compression without the use of silicone or elastic which is designed not to rise no matter how hard the ride. Reflecting modern day saddle technology, the proprietary chamois padding and silhouette is custom engineered to reduce pressure at key saddle contact points for greater comfort and performance. 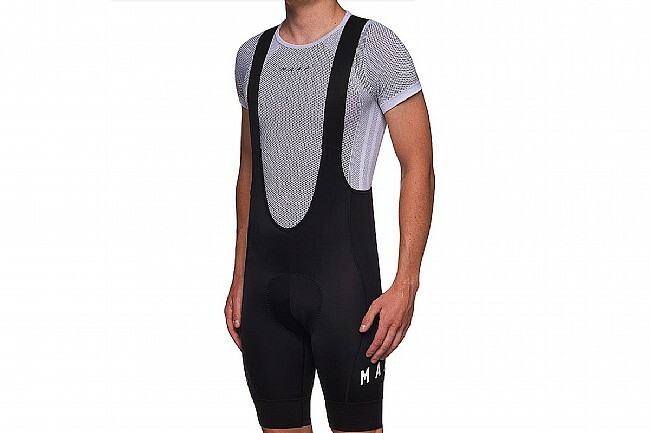 Constructed to mirror the silhouette of the saddle for a true saddle-to-chamois alignment that adapts and molds to your movements while riding. Strategically placed laser cut perforation provides improved air exchange and flow in key areas during hot days and maximum efforts. Smart padding distribution across key pressure areas reduces vibrations from the saddle and road and alleviates pressure on your back through the seat. The soft-touch microfiber lining creates a uniform surface across the entire chamois for smooth contact across the entire ride. Chest 32½"-34½" 35"-37" 37½"-39½" 40"-41½" 42"-43½" 44"-46"
Waist 0"-30" 30"-31" 32"-34" 34"-36" 37"-39" 0"
Inseam 0"-10" 0"-10" 0"-11" 0"-11" 0"-12" 0"